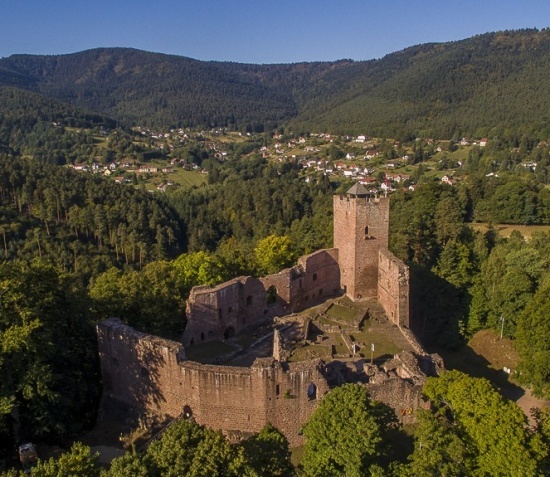 Join us on our circular walk at Wangenbourg known as ‘La Suisse d’Alsace’ and see the castles of Wangenbourg and Freudeneck. Shady, forest paths with great views from Wangenbourg. 3-4 hours with picnic. Gradient 300m max. Meeting Point : 10.30am Hôtel de Freudeneck, 3 route de Wangenbourg. Directions : Coming from Wasselone and Romanswiller, take directions to Wangenbourg Engenthal. 3 or 4 km before Wangenbourg you come to a hamlet called Freudeneck. There is a saw-mill on your left and the hotel-restaurant is on the right. Parking area behind hotel in forest. Contact : Please e-mail or phone Polly (polly.stotz@gmail.com / 06 72 71 90 41) by Sat 23rd) so that I can give hotel approx number for refreshments after walk.